Forgotten, Need A Present Urgently? Look no further, our Gift Voucher Service delivers that last minute present instantly by email! 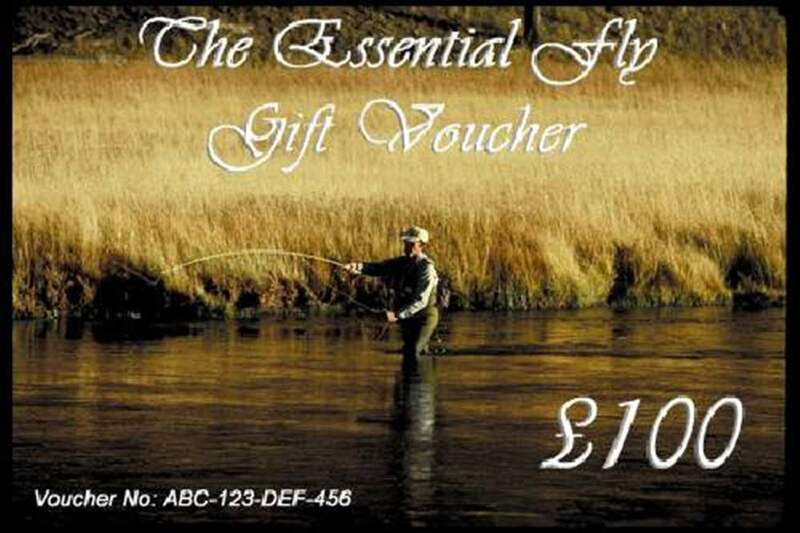 No waiting, Simply go to our fly fishing gift voucher department and chose the voucher you want, the value can be anything you like from £5 to £5,000 or more (lol!). Pay online and your voucher will be delivered in minutes automatically. The unique computer generated voucher code allows you to give the voucher physically or by email immediately for that last minute gift! When you make a purchase with The Essential Fly you can redeem a voucher against any purchase for any product. Simply enter the voucher code in the coupon / voucher box on the shopping cart. If you use only part of the voucher a credit will be held until all of the voucher value is used. If you send more than the voucher value you can pay the difference by credit card or paypal.